Home » Work » Pinecastle » Clients » All Dogs go to Heaven? The thud of bumper against flesh makes a nauseating sound that tears a family apart. As we sat together enjoying dinner after a long day of work, school, swim practice and homework, going around the table with our “high point of the day,” we barely took note of the sound of impact outside. We all heard it, but just didn’t realize that sound, was to be forever part of the horrible memory. Whether a body is brought in from a passing at home the night before, a tragic accident, or a humane euthanasia in the office, I know a family will never be the same. 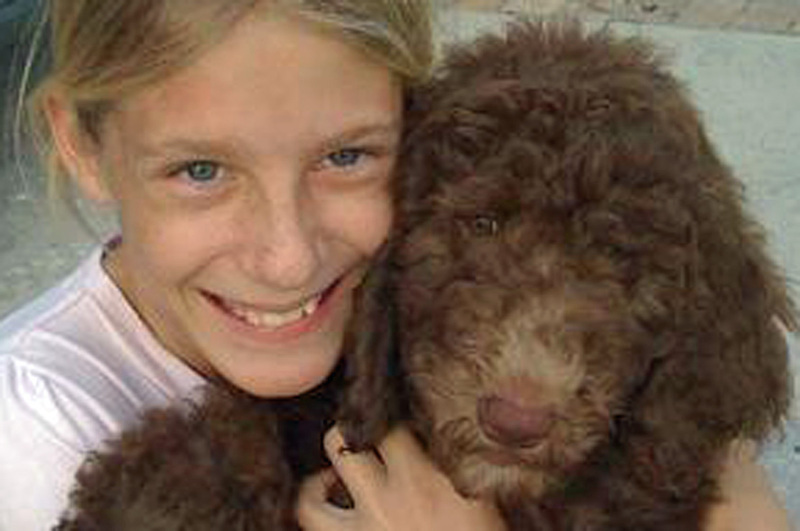 The sweet memories fade into forever ago when confronted with a sudden loss of a beloved pet. Somehow people often just seem to know that I take my faith seriously. The cross I wear is tucked under my shirt, and the Third Day silk screen is covered by my scrubs, but I find myself often responding to complicated questions; Philosophy and theology discussions that my veterinary training ill-equipped me for. “I know you’re a believer, but why? There’s so much suffering in the world – if He’s actually up there, why doesn’t He care?” Often I force myself simply to sigh and remark something about there being so many mysteries. And all this is true, but I thoroughly enjoy sharing and discussing my evolving theologies with others who are curious, or want to spar with our respective apologetics. But I simply can’t typically do this at enough length for justice in a 15 minute office visit, so I mainly just sigh, and smile, and agree that it’s a mystery. But sometimes I’m asked, especially by children, what used to be considered a softball question with a reflex quickie answer. But now lots of adults also ask me, and I know some of them well enough to realize they want an honest, scripture based answer. I used to kneel down by the child and say with consoling confidence, “Of course!” I’d never give it a second thought, but I find myself questioning the reason and logic for pretty much everything I do anymore. And it began to bother me a little bit. Or maybe I should simply shrug with a smile, and say, “It’s all a mystery!”None of that really works for me. However I do have two thoughts on the subject. First of all, I’m certainly no theologian, I’m not even particularly intelligent. So on a plethora of topics, I choose to yield to others in history who have devoted entire lives to research on philosophy, meaning, and of course theology. I have many favorites, but at the top of the list is St. Augustine (also know as Augustine of Hippo). Saint Augustine clearly wrote “that all the beautiful and enjoyable things of nature … including animals … and all the delights that image God and lead us to him in this life will do so even more perfectly in the next. (Sermon 242). St. Francis of Assisi wrote in “Canticle to Brother Sun,” about what he had discovered in scripture , such as Psalm 148, and he added a personal touch, giving the title of “Brother” and “Sister” to the various creatures. Francis seems to emphasize all the more the viewpoint that all creatures make up one family of creation under one loving Creator in heaven. We are to form one community—one symphony of praise—with our brother and sister creatures. Secondly, Scripture itself seems to support this premise. Consider the story of Adam and Eve before their disobedience as well as the story of the animals, the birds, the trees and plants in the Garden of Eden. Not only Adam and Eve, but the other creatures as well seemed to find peace and happiness in that first paradise. Why then would God want to exclude them from the paradise that is yet to come? (Even if it has nothing to do with their merit, but simply for us.) Thus, I would have no argument with Christians who believe that the animals and other creatures are with God in heaven, just as they were in the story of the original paradise. In the New Testament we are told God sees every sparrow that falls, which means he takes notice of each little life. In the Old Testament, we read about a future kingdom where the wolf will live with the lamb and the leopard will lie down with the goat. And finally, in the Book of Revelation, John describes a heavenly vision of all creatures before the throne of God. In that glorious gathering, he sees more than saved humanity: “Then I heard every creature in heaven and on earth and under the earth and in the sea, everything in the universe, cry out: “To the one who sits on the throne and to the lamb be blessing and honor, glory and might, forever and ever ” (Rev. 5:11-14). Claire was my 14-year-old daughter’s very best friend. She came one year for Christmas to chew on the piano bench, and grab the roast from the table, and teach my daughter about unconditional love. And that she could lean on her Heavenly Father when strength was no-where to be found. This was the first of many horrific losses my family would face in 2012. Another death to confront. Another opportunity to ask, “Why?” Another reminder to cherish every loved one, and welcome every opportunity to embrace as if it’s the last one. We believe in a God who understands loss and grief, pain and anguish. He’s been here, and walked in our shoes, and fills our hearts with hope and joy, confidence and consolation. 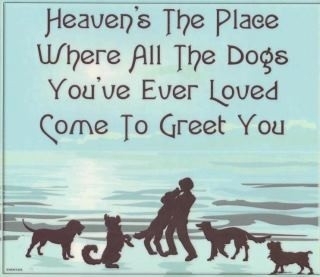 Of course dogs can go to heaven. So many things to look forward to. This entry was posted in Clients, Faith & Religion, Human Animal Bond, Ministry, Pets, Pinecastle, Veterinary Medicine and tagged Assisi, Augustine of Hippo, C.S. Lewis, Claire, Clairebear, Euthanasia, Heaven, Killian, Pets, St. Augustine, St. Francis of Assisi. Bookmark the permalink. This is beautiful, and I appreciate the fact that you took the time to look to several theologians. 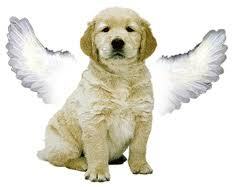 A pastor I greatly respect once told me there was no way pets would be in Heaven, it might be the only place where I cannot agree with him! In addition to your points, God took great care in preserving all the creatures from the flood, I can’t imagine this is solely for the benefit of us on earth. Genesis 9:5, part of the modified covenant, tells us that every animal will be held accountable. If they are held accountable, it stands to reason they, too, have everlasting life (and face judgement). There is no indication that Jesus came to save the animals, but we do know that God is a just God. I have no doubt that that when the restoration of all things comes, animals will be restored as well. How else could the wolf/lion lay down with the lamb in the new kingdom? This is reiterated in Revelation 21 and 22. The Priest in our church (a long time ago) told Bill and I upon the death of our collie that God loves us so much He will certainly allow our pets in heaven because He gave our pets to us as an example of unconditional love that He has for us in Jesus. God is love and through Him streams the love for our families (pets are part of our family) and friends. Dr. Bill, I’m pretty sure you have heard of the book The Rainbow Bridge by Cynthia Rylant. I used it over and over when my students came to school crying because there pet died. I would let them take the book home and often got thank you notes from the parents. I also had to buy it again and again because the book seemed to disappear from my bookcase. LOL I believe that the the God I worship who loves us so thoroughly grants us reunion with whom we love. I’m not sure I believe in heaven or anything of that sort but I hope that wherever I go when I leave this life that my pets are there with me. An eternity without them, even in some “heavenly” place, would be utterly pointless because I would just be miserable. This is one of the best writings I have read on the issue of pets being with us in eternity. Thank you for writing this. Dogs have, of course, accepted Christ. They accept EVERYONE. How do you thing they got lucky enough to be born dogs …? See y’all in Heaven! Poochie smoochies to you! My grandmother told me as a child that dogs had asked God if they could come and help human kind after Adam and Eve were sent from Eden. That because they asked, because they loved enough to sacrifice living in Eden, God allowed them to come and help us, love us, teach us, suffer with us and welcome us back to Heaven.